Well, this post is just a fun one to show how you can find your children's hand prints almost anywhere you look. Sometimes in the funniest places. Well, my house is always under some sort of never ending construction. My kids have written and drawn on every wall in our house but this one is special. I put powder on after I take a bath and some always ends up on the floor and sometimes I don't remember the clean it up right then. 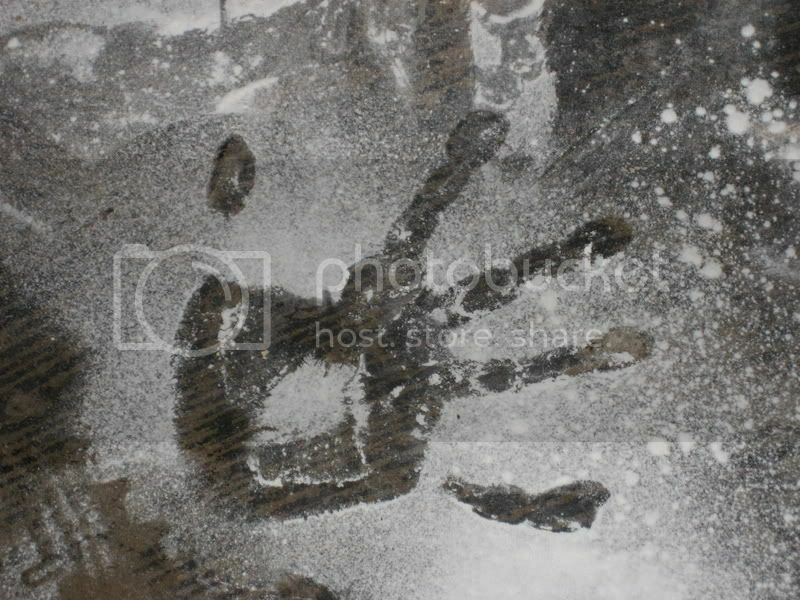 Well, just the other day I was going into the boys bathroom and I found this hand print in the powder on the floor. That just made my day! Sometimes we take the little things for granted when we should enjoy them. I hope this makes you smile. Children are wonderful aren't they.